Preventitve Maintence such as a professinal cleaning and tune-up will lower your energy costs and reduce the risk of system failure. "We Fix It Right The First TIME, SAVING You Money!" Our goal is to provide reliable quality service for all your needs. We want you to feel comfortable knowing that we will fix it right the first time, with expert service and professional installations. Your comfort is always on our minds so we developed a maintenance and Filter Reminder Program that is customized for your system. All of our quality services, installations and custom programs is why We Fix It Right The First TIME, SAVING You Money! Thanks for the honest pricing, no false promises, and knowledgeable technician. 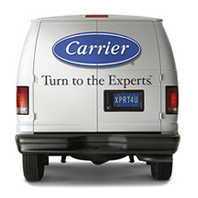 You won't go wrong when choosing Time Savers Heating & Cooling. Our Comfort Consaltants can design a heating and cooling system for your home and needs. This will give your family greater comfort, reduce energy costs and keep your system running at its peak performance for years to come.